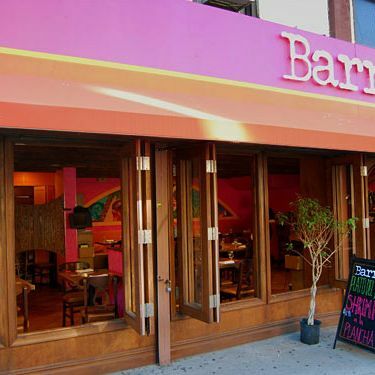 Park Slope Mex spot Barrio is slated to reopen Monday with a whole new look and concept, and a new name, Barrio Plates. Spencer Rothschild (Calle Ocho) has made over his operation with the help of chef Martell Fonville (Gramercy Tavern, al di là) and the revamped menu veers Nouveau American with just a few Latin touches — think calamari in Dominican-style honey glaze, short-rib sliders, chocolate flan. Meanwhile, the Technicolor paint job has given way to blown-glass fixtures and antiqued mirrors. Doesn’t sound too much like the barrio anymore.